In Libya, where NATO-backed NTC forces are attempting to wipe out the last remaining pro-Gaddafi strongholds, civilians are still being killed but normally-vocal countries backing a UN resolution to protect them have gone strangely quiet. British Prime Minister David Cameron and French President Nicolas Sarkozy paid a visit this week to survey their handiwork. The first heads of state to visit Tripoli since the city fell to rebel forces say their countries’ work in spearheading the NATO intervention is not yet done. “We must keep on with the NATO mission until civilians are all protected and until this work is finished,” David Cameron told a joint news conference in Tripoli. He is right: civilians are still being killed. 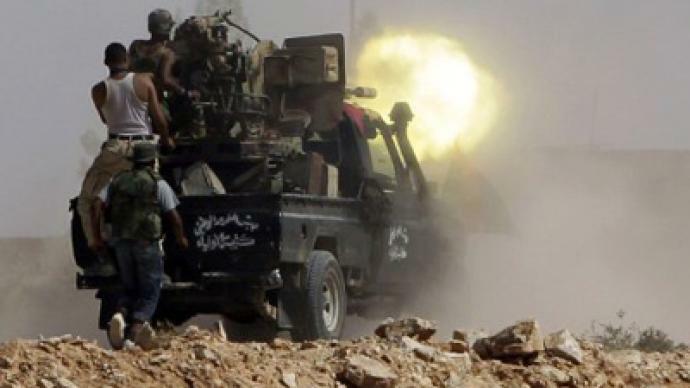 But now that Gaddafi is virtually powerless, the people increasingly doing the killing are National Transitional Council forces, together with NATO, as they attack Bani Walid and other Gaddafi strongholds. 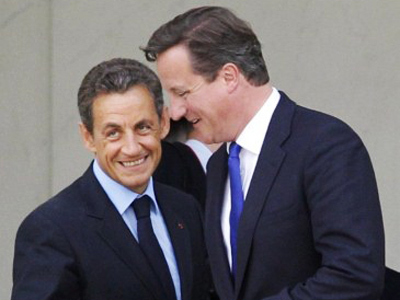 On that, Cameron and Sarkozy are silent. “To paraphrase George Orwell in ‘Animal Farm,’ some civilians are more equal than others,” remarks John Laughland from the Institute of Democracy and Cooperation. 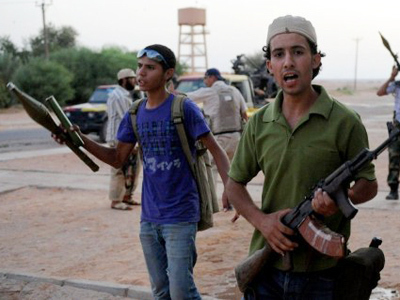 NATO insist their attacks are targeted, but there are reports of NTC reprisals against presumed Gaddafi supporters. “Clearly there are real problems on the ground. 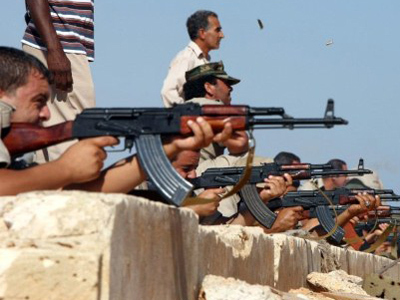 There is a legacy of such a conflict that you will have human rights abuses taking part on both sides. The National Transitional Council have promised to hold their own fighters to account and I think that is a process we will see from now,” believes Middle East analyst James Denselow. But it does not seem to be happening yet. 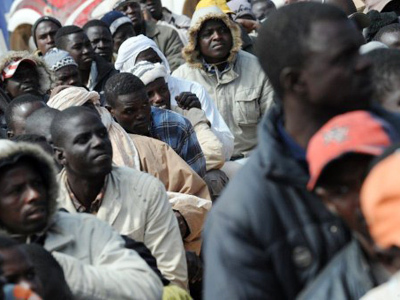 The African Union alleges that transitional forces are hunting down and killing black Africans on the assumption that Gaddafi recruited them as mercenaries. These allegations are borne out by an Amnesty International report which says the rebels are guilty of unlawful killings and torture. It is at pains to point out that Gaddafi’s forces committed terrible atrocities, but also documents a brutal settling of scores by rebel forces, including the lynching of Gaddafi’s soldiers. Meanwhile, the colonel’s hometown is one of the last cities holding out against rebel and NATO forces. 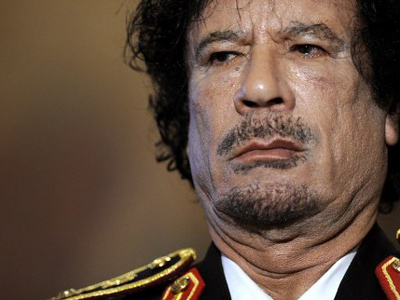 A letter – purportedly from Gaddafi himself – begs the UN Security Council to protect Sirte from being pounded by NATO, and to tackle what it describes as crimes by the forces of the new government. 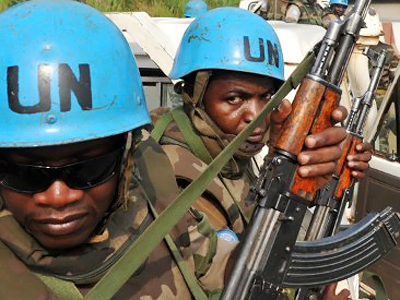 Civilian deaths appear inevitable. 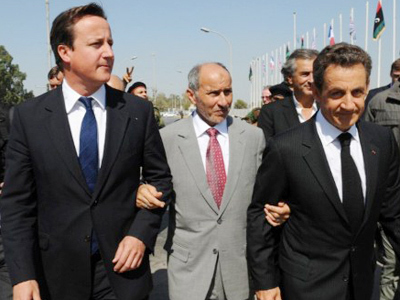 Cameron and Sarkozy were quick to condemn Gaddafi for killing innocent Libyans in the lead-up to the imposition of NATO’s no-fly zone. But no such rhetoric is being aimed at the NTC. Moreover, Britain has sponsored a draft UN resolution to ease sanctions against Libya and against Libya’s National Oil Corporation in particular, in a bid to get the oil flowing again.